The holidays can be a stressful time for everyone, and most people try their best to get along. Flights and traveling, in particular, tend to be challenging, even for celebrities. 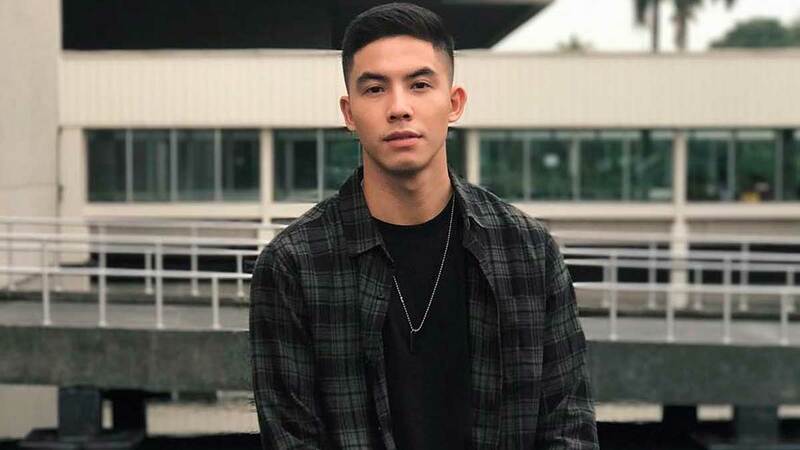 In a now-deleted tweet posted on January 3, Glorious and ML star Tony Labrusca announced, "Just landed in Manila and the Philippine immigration only gave me 30 days here. Lol. K."
Tony spent the holidays in Canada with his mom (Filipina singer Angel Jones) and family, and apparently, since Tony was born and raised in Texas, there were some issues regarding his work visa in the Philippines. After the said Tweet came out, a couple of immigration officers from NAIA shared their side of the story on Facebook, saying that the actor was not traveling with a Philippine passport, he was not with his Filipino parents, and he even "shouted and cursed" at some officials. One even accused Tony of using his status as a celebrity to challenge their decision. Their posts have also been deleted. 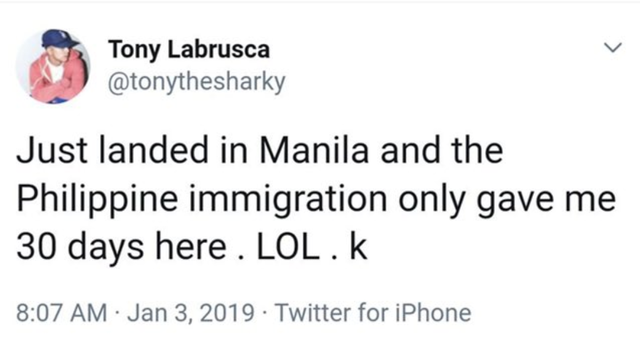 Tony has not yet issued a statement regarding the incident, but his dad, actor Boom Labrusca, commented on one of the posts and apologized to the immigration official. We hope everything gets cleared out soon!